An extreme concentration to 20%, dedicated to the lovers of real perfumes. The richness and beauty of the essences and absolutes chosen by François Robert and Marie-Hélène Rogeon is incomparable. 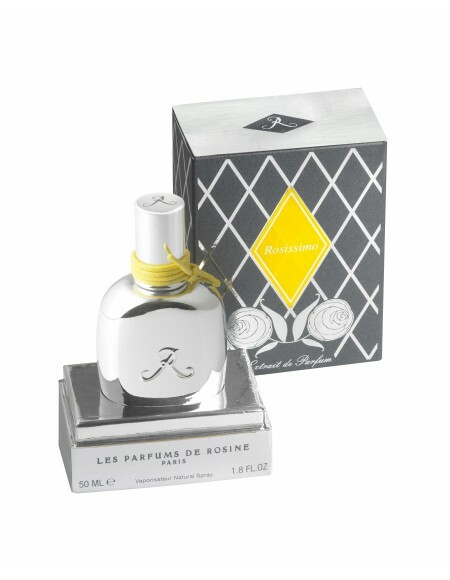 Rosissimo is a men’s perfume created to echo the originality of many garden roses emanating, surprisingly, a lemon fragrance with an occasional hint of grapefruit. Rosissimo is a men’s perfume created to echo the originality of many garden roses emanating, surprisingly, a lemon fragrance with an occasional hint of grapefruit. A tribute to rich hidden depths of fresh roses, Rosissimo is a clear signature perfume whose strength and elegance will astonish.